DKO, The Darren Kramer Organization is a world-class horn band with vocals and performs Funk, R&B, Soul, Motown, Swing, Jazz & Latin. DKO is in demand for public and private events throughout the state of Colorado as all DKO members are full-time professional musicians with years of experience and education. DKO is a highly versatile group and can consist of any number of musicians from solo performance to the full-size 10pc band depending on your wants, needs and budget. This exciting new group has capitalized on creating the next generation of crossover jazz and brings this high-energy music to people all over the world through their inspiring performances, educational clinics and exceptional recordings. All DKO recordings feature original high-energy Funk, Jazz & Latin performed by world-class artists such as Eric Marienthal, Rick Margitza, Jerry Hey, Gary Grant, Gary Willis, and the late Michael Brecker who praised Kramer’s music as “…fresh, innovative funk by a brilliant, upcoming trombonist”. 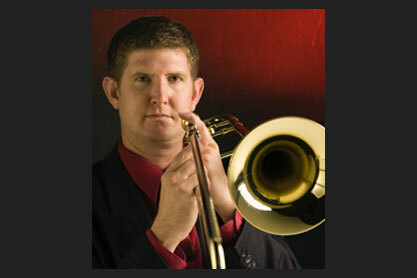 The Darren Kramer Organization, whose inspiring concerts, educational clinics, five exceptional recordings, and over fifty challenging arrangements (for small group & big band) have helped modernize the trombone and expand its role in contemporary music.